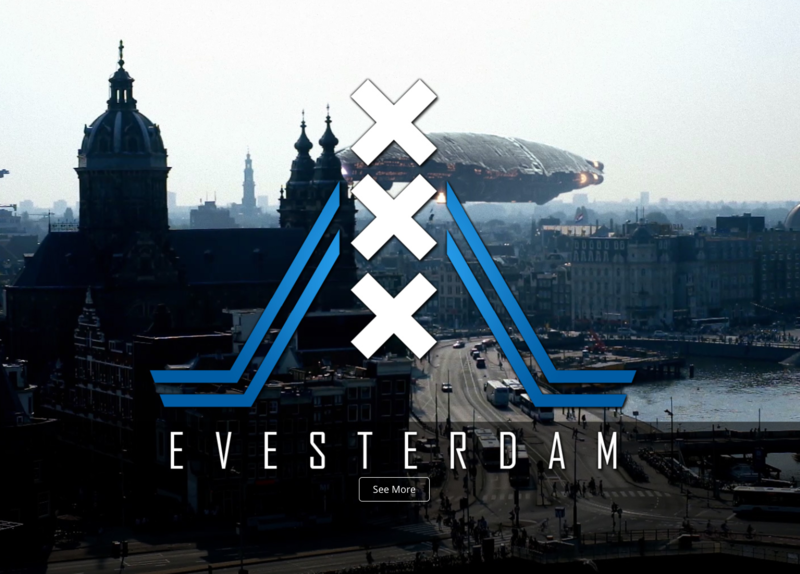 Evesterdam was first held in 2013. It started as a simple facebook event to get Eve Online players together one saturday afternoon to drink in a bar in Amsterdam. An amazing 150 people showed up, both from the Netherlands and abroad and the event was a great success. In 2014, at the request of those who attended the first time we made it bigger with presentations and a beautiful new venue. We went bigger and better in 2015 and 2016 by making it a two day event with over 300 players, a whole pile of developers, Eve Valkyrie and Eve Gunjack demos! In 2017 Evesterdam is turning 5 years old and we’re looking to make this edition the best one yet! We return to the beautiful Compagnietheater. Not only does this provide us with a great place to hold presentations, it is also in the center of Amsterdam. This means it is easy to reach by public transport and close to the Amsterdam nightlife and hotels! Naturally, our venue comes with a well stocked bar. Evesterdam will be held on November 4 and 5 at the Compagnietheater, Kloveniersburgwal 50 in Amsterdam. We offer attendees the opportunity to meet up and swap war stories with other Eve Online and Eve Valkyrie players, as well as attend presentations about Eve Online by both CCP developers and players. The presentation schedule will be announced later this year. We will also have Eve Valkyrie, Eve Gunjack, a load of CCP devs, a tattoo artist, many ingame prizes and several other things that still need to be announced! In addition to the daytime activities, we’ll be heading into the Amsterdam night life as well!